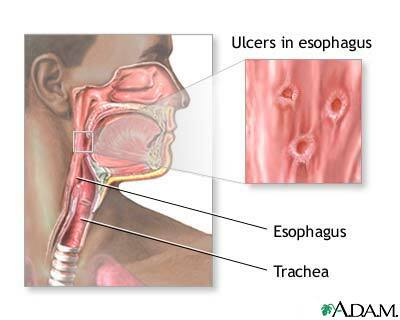 Herpetic esophagitis is a herpes simplex infection causing inflammation and ulcers of the esophagus. Symptoms include difficulty swallowing and pain (dysphagia). Herpetic esophagitis can be effectively treated with antiviral medication if the person is not significantly immunodeficient.